The Sabres announced the move Saturday, while a person familiar with the Maple Leafs' decision told The Associated Press about Marincin. Elie was placed on waivers for demotion to the minors a day after playing a team-low nine shifts in a 7-3 loss to Chicago. 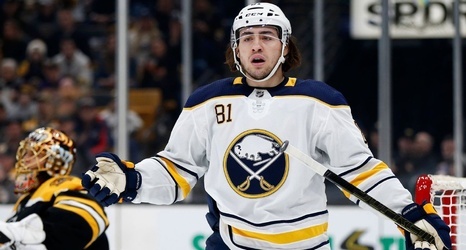 He played his second consecutive game after being a healthy scratch in Buffalo's previous seven. Elie has one assist in 16 games since being waived by Dallas and claimed by the Sabres on Oct.